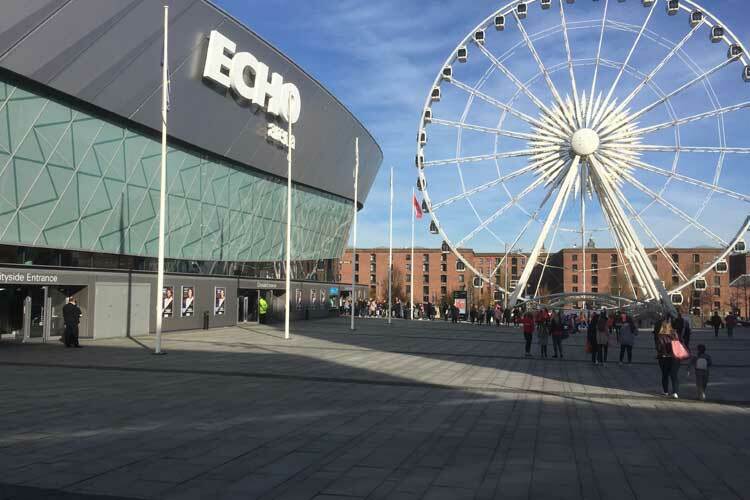 The final titles at the 2017 Gymnastics British Championships have been decided at Echo Arena, Liverpool in front of a packed crowd. 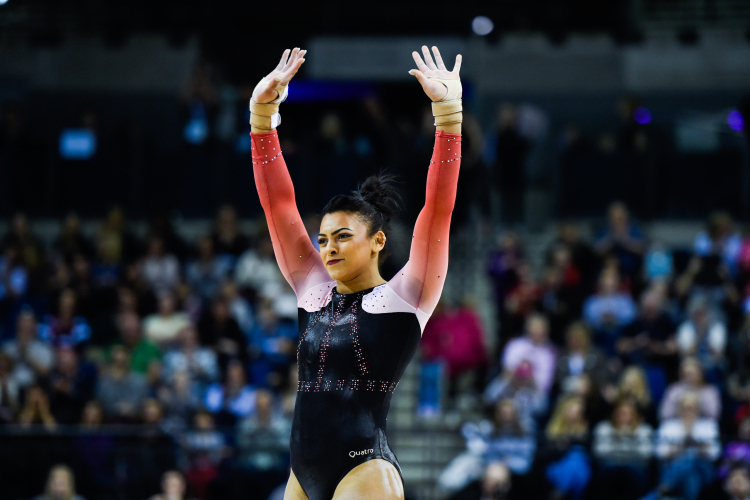 In the senior women’s competition, Ellie Downie added two more golds to her collection taking the vault and bars titles. On the vault, Ellie stuck her double twisting yurchenko cold to easily take the title with 14.437 ahead of Holly Jones from Swansea (13.512) and Phoebe Turner (13.412). On the bars Ellie corrected her mistake from the all-around competition to take the top spot with 14.600, with East London’s Georgia-Mae Fenton coming in a very close second with 14.575 after performing an extremely difficulty and intricate routine. Becky Downie performed her tricky bar but unfortunately had to count a fall which left her in third with 14.025. 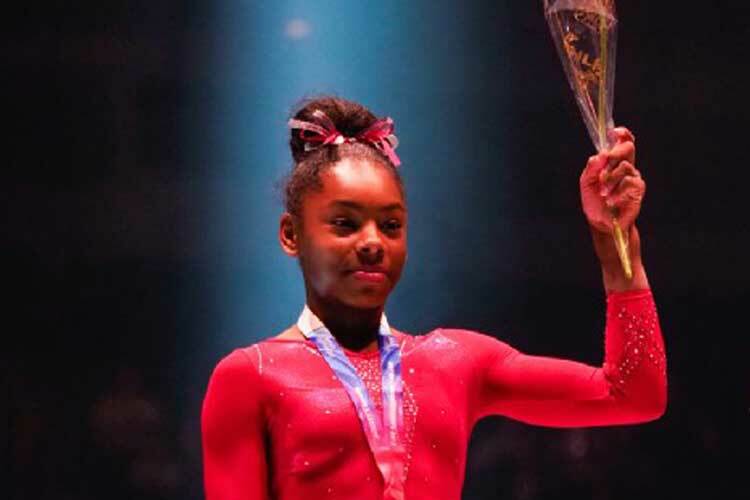 On the beam, multiple falls left the door open for medals. In the end the Academy’s Phoebe Turner took the title with 12.575 ahead of St Tydfil’s Latalia Bevan with 12.475 and the City of Newcastle’s Lana Chilton with 12.225. On the floor it was first year senior Maisie Methuen that performed a beautiful routine with solid landings to take the title scoring 13.425. Crowd favourite Claudia Fragapane showed off her new floor routine to take second, which had elements of her strictly dance moves and some big tumbling for 13.150. Taking the final spot on the podium was Charlie Fellows from Park Wrekin who stepped up into the final last minute to scoop a medal with a strong routine (13.050). In the men’s event, the titles were split across the apparatus. On the floor, Andrew Smith (a guest from Ireland who trains at Notts) took the title with 14.225. Hamish Carter from Birmingham successfully took the silver with a solid routine for 13.925 with under 18 all-around champion, Jamie Lewis from Woking taking the bronze with 13.775. On the pommel, under 18 gymnast Rhys McClenaghan from Rathgael (also a guest from Ireland) impressed with a difficult routine to score 14.900 and comfortably took the title, showing great promise for the future. Another guest, Prashanth Sellathurai, who trains at Milton Keynes but competes for Australia, took silver, scoring 13.775. 14 year old Korben Fellows from Birmingham impressively took the final spot on the podium against competitors many his years his senior with 13.675. On the rings, Courtney Tulloch from Pegasus was once against in the top spot with incredible strength elements scoring 14.950. The all-around champion Joe Fraser followed in silver scoring 13.575, with guest and Jamaican gymnast Reiss Beckford who trains at South Essex coming away with 13.375 and bronze. On the vault it was success again for the Irish as guest Ewan McAteer from the City of Lisburn Salto averaged 14.037 for gold. 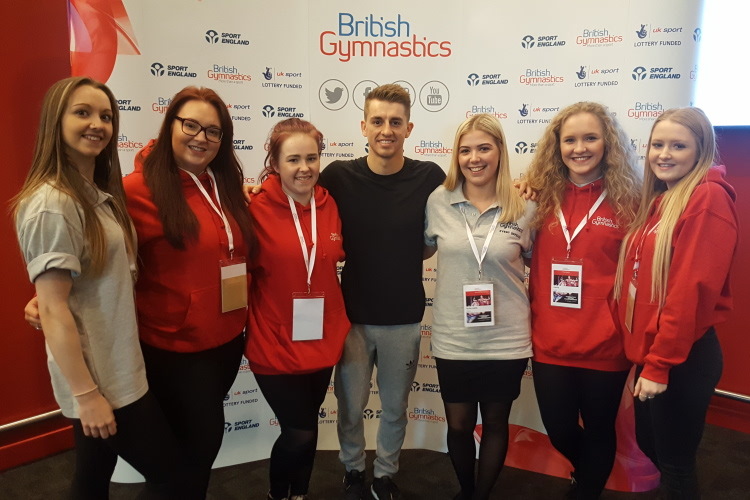 Dominick Cunningham from Birmingham was hot on his heels scoring 13.912 for silver with Gabriel Hannah from Loughborough Students in bronze with 13.800. All-around silver medallist James Hall from Pegasus took away the title on the parallel bars with 13.825. It was then under 18 competitor Donell Osbourne from Birmingham who stepped up to the mark to take silver with 13.725. Joe Fraser added another medal to his collection, scoring 13.625 for bronze. 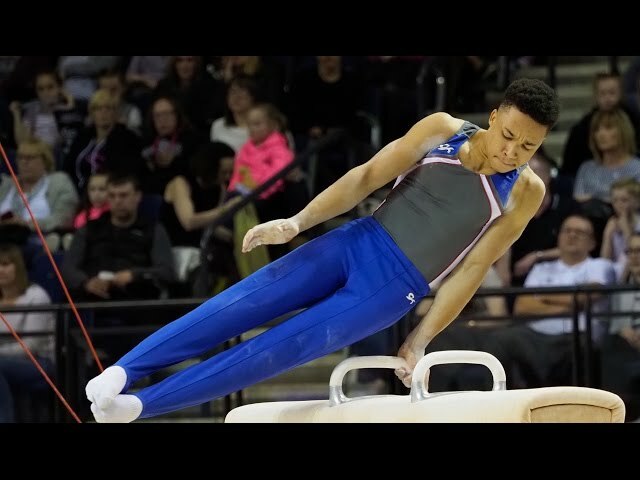 On the high bar, Joe Fraser finished his championships with yet another gold scoring 13.875, with teammate Joshua Nathan stepping up from the under 18 category to take silver with 13.100 and yet another Birmingham gymnast, Donell Osbourne taking bronze with 13.075. In the men’s disability masters Alex Buesnel took five of the titles on the floor, pommel, rings, vault and parallel bars with Mathew Kirkland taking the high bar title. 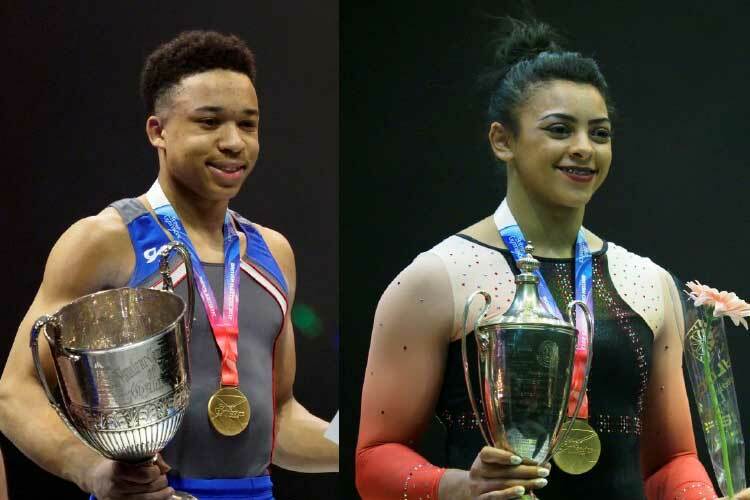 Full results, news and a selection of routine videos from the championships can be found on our event page.